The biggest Dota 2 event of the year is next month, but that hasn’t stopped Valve from announcing a major overhaul of the esport’s competitive scene to take place after the $20+ million tournament is concluded in August. “For the next year we will be taking a more organic approach to growing the competitive ecosystem, working more closely with third-party tournaments,” Valve said in its announcement. This means that rather than a limited number of Major tournaments backed by Valve each year, as is the current system, the game’s publisher will select more third-party tournaments to directly sponsor and create a two-tier system that varies by prize pool size. Majors will include events that can support a minimum prize pool of $500,000, with Valve than providing another matching $500,000, while Minors will be events with prize pools in the $150,000 range (which will also receive matching funds from the company). In addition, all of these events, when sponsored by Valve, will be required to admit at least one team from each region (NA, SA, SEA, CN, EU, and CIS) through a qualifier process. “We will directly manage the schedule of Majors and Minors to help avoid collisions during the year,” the announcement adds. But the biggest change will be the introduction of a point system. Rather than have invites arbitrarily decided by the powers that be, Valve is going to make the process more transparent going forward by predicating it on the highest ranked teams by point value. Points will be earned by individual players based on team performance, and then follow those players if they move to a different organization during the transfer window. Majors will award more points than Minors, with events closest to that year’s TI (The International) awarding the most. Two of Dota’s richest pros doing a commercial Mercedes. To add another wrinkle to the new system, only the top three player point values on a team will contribute to the team’s overall score as a way of not penalizing them for bringing on fresh talent as needed throughout the year. A leaderboard maintained by Valve will make it easy to see where everyone stands in relation to one another as teams compete throughout the year and try to earn their slot in TI. The news comes in the wake of some recent criticism levied at Valve and the Dota 2 competitive scene as a whole by teams who feel the company’s mostly hands-off approach has led to too much chaos, uncertainty, and burnout. In part, Valve’s vision for the esport going forward seems to address some of that by providing more consistency and putting less emphasis on a few big cash tournaments per year. The point system especially, something used in one form or another by lots of other competitive scenes ranging from Hearthstone to Street Fighter, will help demystify the overall process. The driving principle still appears to be eye-catching prize pools, however. 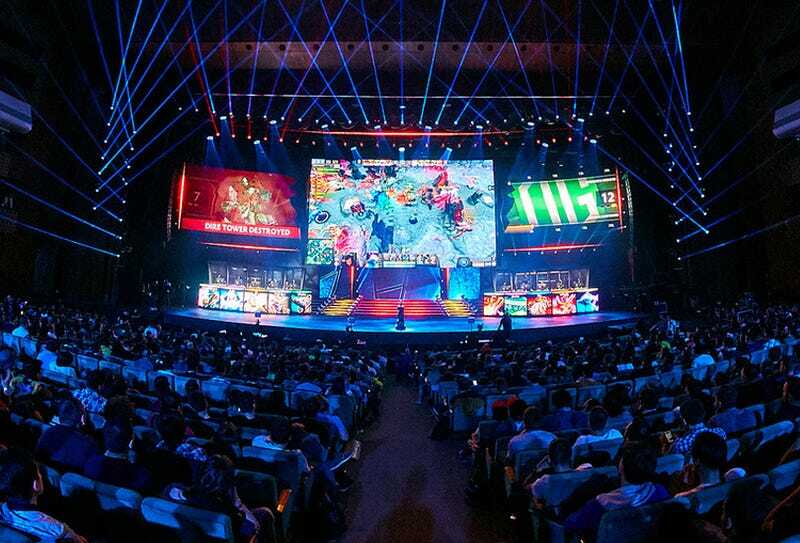 Where other top esports like League of Legends and Counter-Strike have more of a tendency to forgo massive, lottery-sized payouts in favor of livable player salaries and some form of revenue sharing, Dota 2 in particular has long relied on the dollar signs accompanying its events to fuel the scene’s growth and talent accumulation. While a few excellent teams are well compensated, the majority of players must scrape to get by.